Thirteen-year-old Colton and his best friend Jade spend their free time investigating a local urban legend concerning an old abandoned house in their hometown in Ireland. The run-down building is said to be haunted and some of the things they’ve seen seem to confirm it. Colton has a crush on foreign-exchange student, Dylan, who is visiting his aunt from America. But Dylan isn’t your average American kid, and soon Colton and his friends are embroiled in more than urban legend and must find a way to save everything they know and love. 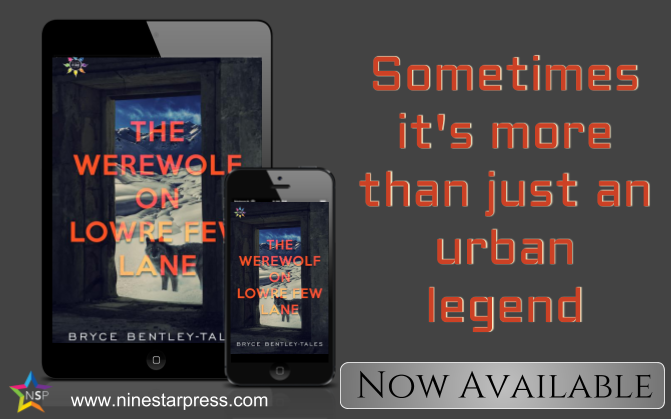 The Werewolf on Lowre Few Lane Bryce Bentley-Tales © 2018 All Rights Reserved Chapter One I rotated the zoom dial on my binoculars. The three-story stone house loomed large in my view. Jade whispered behind me, “Colton, what’d you see?” “Shhh.” I surveyed the gloomy home from side to side. The house sat on the crest of a small hill and far from the cobbled street where I crouched. Spidery cracks filled a couple of the second-story windows. The paint had faded and peeled, and the rooftop sections were missing shingles. It had to be one of the oldest residences in Arklow. “Colton,” Jade said, tapping my shoulder. “Jade, you’re breaking me concentration.” Huddled near the stone column at the end of the winding driveway, I inched around the base a bit farther to get a better look. A light, cool breeze blew, swaying the sea of tall weeds in the house’s lawn and filling my nose with the scent of dogs. Deep, guttural barks erupted behind me. Startled, I whirled before realizing that the noise was just Jade’s ringtone. I glared while she squatted close to the curb, frantically patting the outside of her lightweight jacket in search of her phone. “Are you a complete tool? Turn the blimey thing off.” Jade glanced up, her eyes wide. “Can’t find it.” Then she straightened, grinned at me, and said, “Found it.” She removed the phone from a side pocket, and the barking grew in volume. Brushing her lengthy brown hair from her face, she stared at the caller ID. “Oh…it’s me mum.” “Shut it off! All of Ireland will know we’re here!” She didn’t move but held the smartphone in both palms. The phone quit ringing finally, and she sighed. “I should go. It’s probably suppertime.” “You can’t. This was your idea.” A loud clanging echoed across the yard, and we both cowered behind the stone fence post. Adjacent to the old post, a crumbling stone wall shielded us from anyone standing by the house. When I poked my head around the ledge, nothing but the motionless tall weeds could be seen in the yard and the same gloomy look the house had had before. It was dead quiet. Jade put her hands on my shoulders, her mouth next to my ear. “S-see, I told you. You believe me now? It’s haunted.” I tried to speak, but my mouth was dry. I brought my binoculars up, gripping them hard with both hands. “Probably just varmint inside,” I said. “Aye. And maybe you and your butterfingers could be captain of the rugby team.” “Har-har. You think the Kennedy twins really disappeared inside?” “I told you. I saw them at the house when I was with Erin two nights ago. They said they were going inside.” “Maybe they’re hanging out at the local pub downtown?” “Colton, no one has seen those fellas since that night. They went inside and never came out, sure of it.” I swiveled the binoculars around, peering at the large, arched front doorway, which had a wolf face doorknocker. Jade whispered close to my ear, “You see anything?” “Shhh, I can’t focus with your tongue in my ear.” “My tongue isn’t in your ear,” Jade said, her voice irritated. After a few seconds, she pushed on my shoulder. “By the way, you find out the new foreign-exchange fella’s story? You didn’t take your eyes off him in class. I missed a lot while I was away.” She giggled. “You fancy him, don’t you?” I cringed, lowered the binoculars, and spoke in a hushed voice over my shoulder. “Don’t say that out loud.” “And who’s going to blimey hear us? Just us and the ghouls at 44 Lowre Few Lane.” “Dylan. That’s his name. We’ve spoken barely a couple of words since he started. I took him to Headmaster Collin’s office on his first day and managed to say hello. And for your knowledge, he is right bloody in front of the board. I can’t help but look in his direction.” “Mm-hmm,” Jade said. I started to bring my binoculars back up when Jade said, “Well, I like his accent. Oh, I think he noticed you after school today. Did you see that? Maybe he likes boys too. You never know.” She swatted my back. “Are you blushing?” I shook my head. My face was hot, though. I had seen Dylan outside talking to a couple of boys on the rugby team. Our eyes had met, but I’d been quick to look away. I shifted my weight on my knees. Jade now leaned against my back, and it was getting hard to bear her weight. “Oh, Colton, you are so darling sometimes. I missed you while I was gone the last two weeks.” “It’s been bloody miserable,” I said. “I’ve eaten lunch a couple times with Thomas until he was sent to detention. Tried to eat with Erin, but she just smiles at me.” “Well,” Jade said, “I’m back now. So we’ll eat lunch together. Where’s Dylan from again?” I opened my mouth to say he was from America but never got a chance. A barking ringtone erupted again. I jumped a foot in the air and whipped my head toward Jade. She brought out her phone and stared at it. I put my hands on my hips and snarled, “Oh for bloody sake, Jade. You can’t be serious. 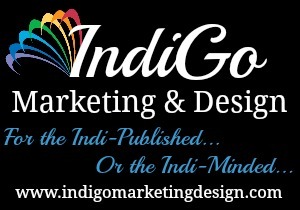 Put it on vibrate.” Jade held her finger up, stepped to the curb, and answered her phone. “Mum?” I sighed, leaning my back against the stone column. “No,” Jade said. “I’m fine. Just out of breath. I’m with Colton.” Jade stared at me, the end of her mouth curled down. “Oh, Mum. You’ve too met him. You had him over for dinner five times this summer. He’s the Asian?” Jade rolled her eyes. “Mum, that’s who I just said. Colton. It is too what I said. And it’s not impolite. He is half-Asian. Remember, you thought it right peculiar his mother was from Singapore and the father Irish, asking me how they ever met.” She looked at me before turning away and lowering her voice. “Uh, no, Mum. He can’t hear me.” She walked away from me, but her voice still carried. “No, Mum, we haven’t seen any packs of dogs. No.” She turned back, giving me an inquisitive look. I shook my head. Over the last week, I had heard from a couple of friends there had been sightings of a pack of dogs, but that was just rumor. “Colton hasn’t seen any either.” I looked at the horizon and down the cobbled road. The few homes in this part of Arklow stood far off the roadway and scattered about, giving off a sense of remoteness. With the sun turning reddish and less than an hour from setting, that isolation magnified the creepy vibe from the small wood surrounding the manor we’d come to investigate. We needed to go. I whirled my finger in the air for Jade to hurry it up. She stood in the middle of the road, held up a hand to me, and offered a nervous smile. She told her mother, “We stayed after school and helped Ms. Griffin with decorations in the auditorium. Yes, for Hollow’s Eve. It’s tomorrow, remember?” Jade fussed with her hair while she talked. “Oh, Mum, good grief, you met her too. She’s me sixth-grade history teacher. Sings in the town choir?” Rubbing the back of my neck, I sighed and took a quick gander back at the house from my vantage point. I raised the binoculars and peered at the porch. A couple of rickety boards stuck up. Close to the bottom steps, on either side, gray wolf statues sat back on their hindquarters. They stared straight ahead in my direction. A shadow crossed over one of the statues. I moved the binoculars a hair to the right. A black-haired wolf crouched at the statue’s base, its amber eyes pointed in my direction. I stepped back and tripped over my feet, landing on a cushion of waist-high grass. Jade knelt down to my side. “Colton, what is it?” She no longer had the phone to her ear. I pointed to the house. “W-w-wolf.” Jade’s eyes widened. “Wolf?” She stared toward the house, shaking her head. “I don’t see anything. You mean the statues?” I got up to my feet and tugged on her hand. “L-let’s go.” “Okay, good,” Jade said. “I told Mum we’re going home.” As I glanced over my shoulder, the black wolf was gone, but I remained fixated on the statues. I took in a sharp breath. The statues were no longer staring straight ahead, but instead, the snout of one of the wolf statues was up in the air as if howling. The second one’s head was turned toward me. I sprinted with everything I had.